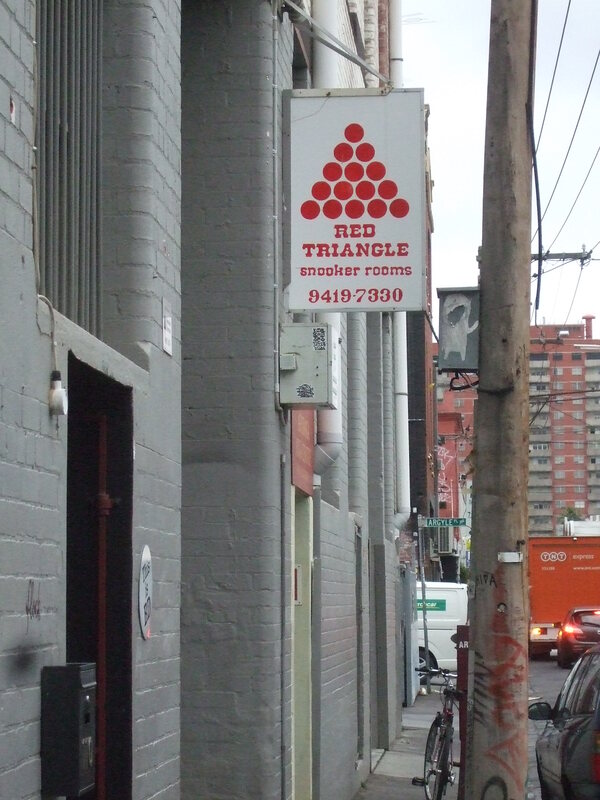 Red Triangle is an old fashioned pool hall located up three flights of stairs, off Brunswick Street at 110 Argyle St, Fitzroy (Just look closely for the red triangle or you will walk past it). 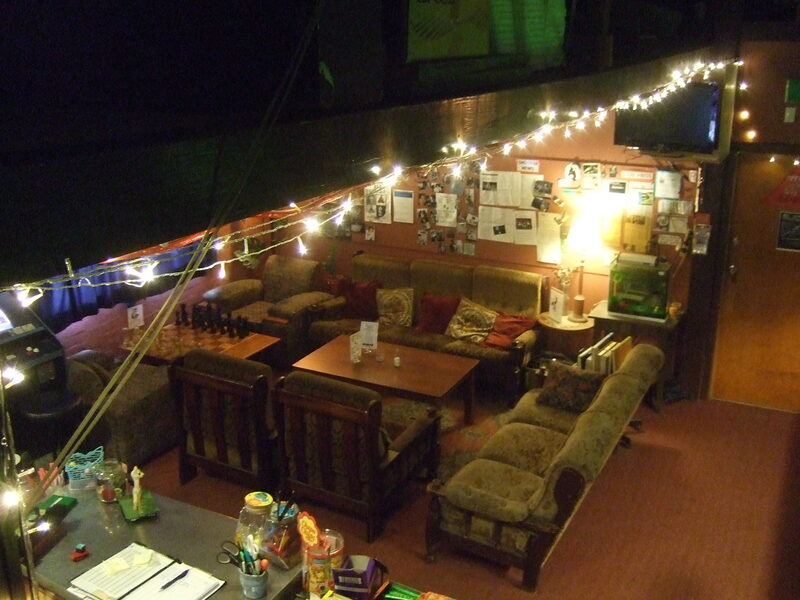 Inside you will find an open warehouse, dimly lit, a little dusty and full of character. Not much has changed since opening in the 1970’s with comfy lounges and vintage furniture making up the décor. If not for pool, the room could easily be used to film a prohibition era gangster flick. It is a far more relaxing setting than your average modern pool hall. Loud top-40 music is non-existent, replaced with soft jazz, tables are spaced out to avoid constantly bumping into each other and those who work at the joint are happy to teach you how to play, assist beginners and answer those disputes about whose pub rules are correct ( almost certainly the answer will be neither of you). 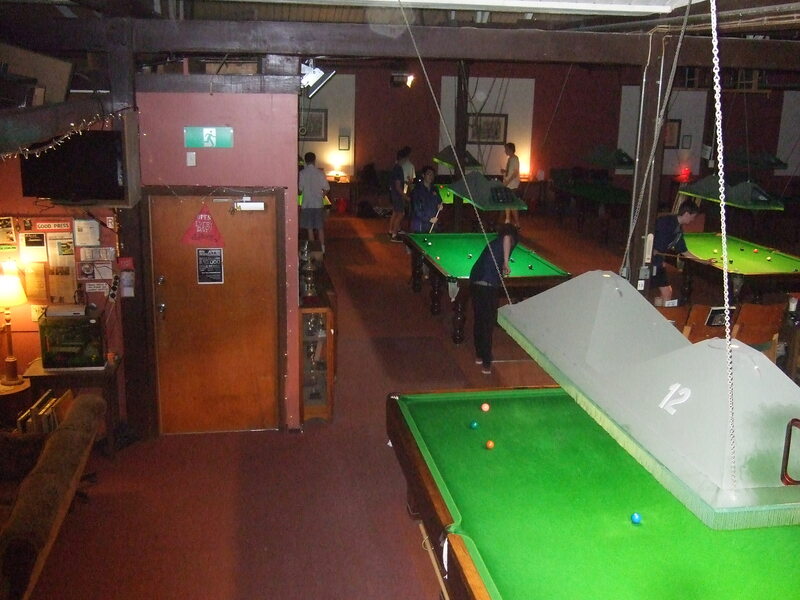 At $12 an hour, for a snooker, billiards or pool-table, plus a lounge with a giant chess table and 1980s arcade games, you may find this place hard to leave, which shouldn’t be a problem with opening hours of 10am-2am each and every day. not just milkshakes. The toasted sandwiches are well worth trying as well.